On July 1, 2010, Hewlett Packard finalized a deal to buy Palm for $1.2 billion. Palm was a relatively small company struggling to keep its footing in the smart device market – competing against behemoths like Apple and Google (Android). Finally, the financial resources of industry titan HP would allow the Palm OS to thrive. My buddy Lazy Man over at Lazy Man and Money is a longtime Palm enthusiast, so this was great news for him. 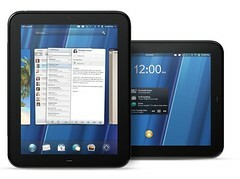 Exactly a year later, HP launched a tablet based on their mobile WebOS – the HP Touchpad. The 16 GB (storage) model debuted at $499 and the 32 GB model at $599. This would be the tablet that would threaten market leaders Apple (iPad) and Google (makers of the Android OS that power most non-iPad tablets, such as the Samsung Galaxy). Right? Unfortunately, sales were lackluster. While the Touchpad has nice integration with other WebOS devices, the fact of the matter is that there aren’t a lot of people with WebOS devices. There were also other differentiation features – such as support for Adobe Flash (a technology that Apple steadfastly refuses to support on the iPad), but it wasn’t enough. Faced with a TouchPad priced at the same level as an iPad or Android device, customers grabbed the Android or iPad. A big reason for this was a lack of apps (although an emulator does allow the TouchPad to run many apps written for WebOS based phones). While the iPad and Android devices might not have had a huge assortment of apps at launch, they do now. HP was bringing an entry-level assortment of apps to the table while joining the race halfway through. On August 18 – a mere 49 days after launch – HP announced that they would produce no more WebOS devices (although they will continues to develop the actual OS until they figure out what to do with it). I really don’t understand HP’s logic. Did they really underestimate the difficulty of competing with Apple and Google? If so, that’s a pretty colossal failure. Throwing in the towel after seven weeks on the market seems to suggest a minimal commitment to the effort. Perhaps they could have included coupons good for $100 worth of TouchPad accessories from the HP store? A lot of accessories are very high margin, so this would have looked great to customers without costing HP much. Or perhaps they could have given new buyers a $100 credit toward the purchase of new apps. Perhaps even a big discount on a wireless HP printer to use with the TouchPad (forcing people to buy ink cartridges – a nice revenue stream). I came up with those three ideas while writing this paragraph – I’m sure HP’s marketing department could have come up with many more. It seemed pretty obvious at the time of the price cut that they could have probably clearanced the devices at $200 and still sold all of them. When you drop down below $100, the device becomes a reasonable subsitute for a lot of other tech items. Not only is it a cheap substitute for a laptop, but also a possible replacement for the 9.7″ Kindle DX ($379) at less the the price of the cheapest Kindle ($114). Heck, you could even use it in place of a 10″ digital picture frame when not using the other features. You essentially have a device with Swiss army knife type of flexibility, and it’s undercutting the single purposes devices that it could replace. A lot of people placed orders, received confirmations, and they received a cancellation notice much later. In my case, I received a cancellation order this morning, more than two full days after placing the order. Needless to say, a lot of people were angry about this. I wasn’t particulalry upset, because this seem to be a likely scenario based on what I was hearing from other people. I’m not really sure what the issue was here. Some sort of a failure regarding an inventory system, no doubt. Barnes and Noble’s web site was perhaps in the brightest spotlight. I saw a comment that Barnes and Noble’s inventory system is set up to handle books, which can always be re-ordered from the manufacturer. That’s fine – as long as you only intend to sell books. If you’re planning to sell items that can be discontinued, your system has to have a way to realize that zero stock means that you are completely out. Sometimes zero means zero. And maybe toss the affected customers a small gift – a $10 gift card, perhaps – for the inconvenience. OK, I understand that you’re angry about stores being out of stock and orders being canceled, but tone down the venom just a wee bit. 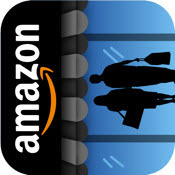 It the case of brick and mortar stores, what exactly could you expect? These stores had no way of know that there would be a mad rush to buy the TouchPads. It’s not as if this was a planned promotion and the stores were able to stock up beforehand. Some employees were probably very surprised to see Black Friday crowds in August. I agree that the online merchants goofed up big time – but some of the rhetoric is out of place. Then there’s the guy on eBay selling information. For $99 he’d tell you where you could buy a TouchPad for $130. No refunds if the information was out of date. It seems fairly obvious that this was an attempt to trick people into thinking he was selling a $99 TouchPad. The text of the listing clearly says what he’s selling, but a lot of people likely just saw “TouchPad – $99”. Then, of course, the people re-selling for a huge profit. The $99 item could be found online for $200, $300, $400, $500 – and in the case of one web site, $700. I know people caught caught up in TouchPad mania, but these were devices that wouldn’t sell for $499 – now they are listed at $700? HP has a waiting list, and you can sign up to be notified when more TouchPads are available. It actually makes sense for HP to sell as many as possible through it’s site instead of other merchants, since this would keep 100% of the revenue in-house. Will they? I don’t know. How many more devices will be available? Again, no idea. Where do we go from here? Suddenly, HP has an installed base of excited tablet customer. Do they retract their withdrawal from the market? The 16 GB touchpad has a materials cost of around $300, so the $99 price point is not sustainable long term without some other sort of revenue stream. Could HP siphon off enough revenue from a data plan and app store to make up the difference? Could they save a few bucks by using cheaper parts? They’d have to position themselves as a cheaper alternative to the iPad and Android devices – but maybe there’s a spot in the market for that. Another point is that not only does HP have a lot of tablet customers, but they have a unique blend of customers. They not only have the tech crowd, but also a big chunk of the general population who hadn’t previously considered a tablet. I work in IT, but really hadn’t considered a tablet. At $500, it’s a really expensive toy. At $99, it’s not hard to justify the cost. We don’t own a laptop, so it would have been convenient to connect a TouchPad to a hotel WiFi network while traveling. What are your thoughts regarding the TouchPad soap opera? 2011 Fall TV – What Are YOU Looking Forward To? How Will The Resignation of Steve Jobs Affect Apple?